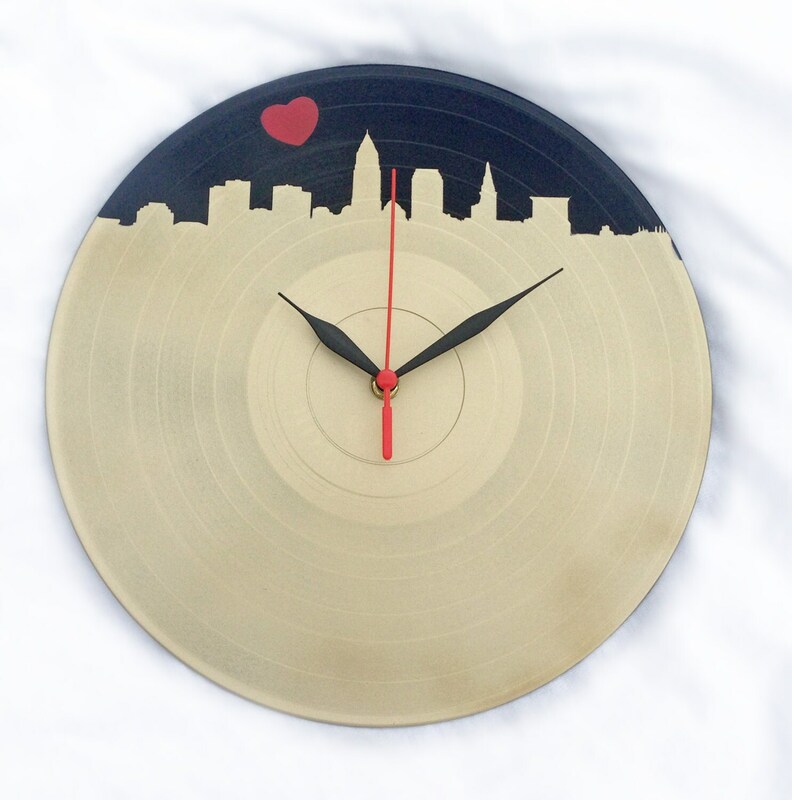 This listing is for one hand painted 12" Vinyl LP record Clock with the Upcycled Vinyl LP Record Wall Clock with Cleveland Skyline in Champagne Gold and Red Heart! 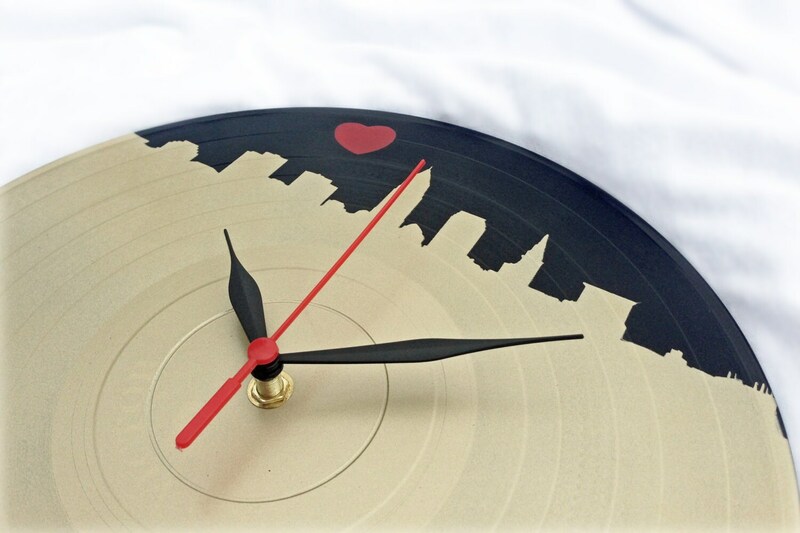 The clock backing has a hook for easy wall mounting on any nail. Takes one AA battery. 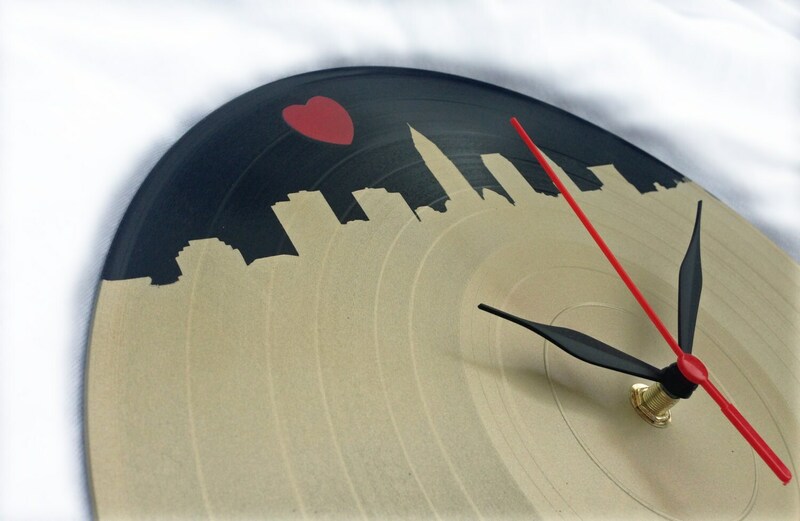 Sweeping clock hand style! No ticking! I use unloved, unplayable records only! No good records were harmed in the use of my art! 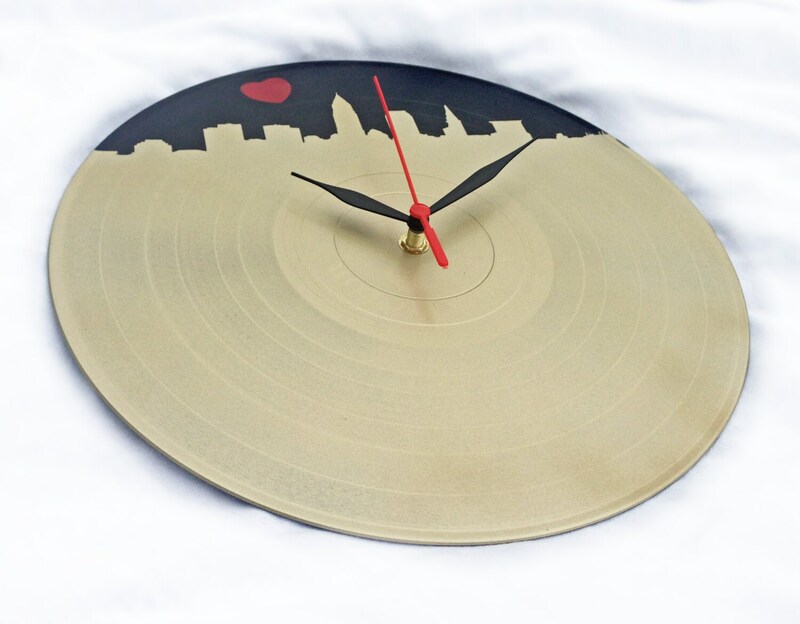 ☆ Made from old records into something new!